As you’d expect the father’s day gifts in our house were cruelty free! The Grown Alchemist Men’s Hydra Shave Kit – $49.95. The kit contains a 75ml Sandalwood & Sage Shaving Gel, as well as 65ml Hydra-Repair Day Cream. As I’ve said before I adore Grown Alchemist, so the double bonus is that I get to use the day cream as well! 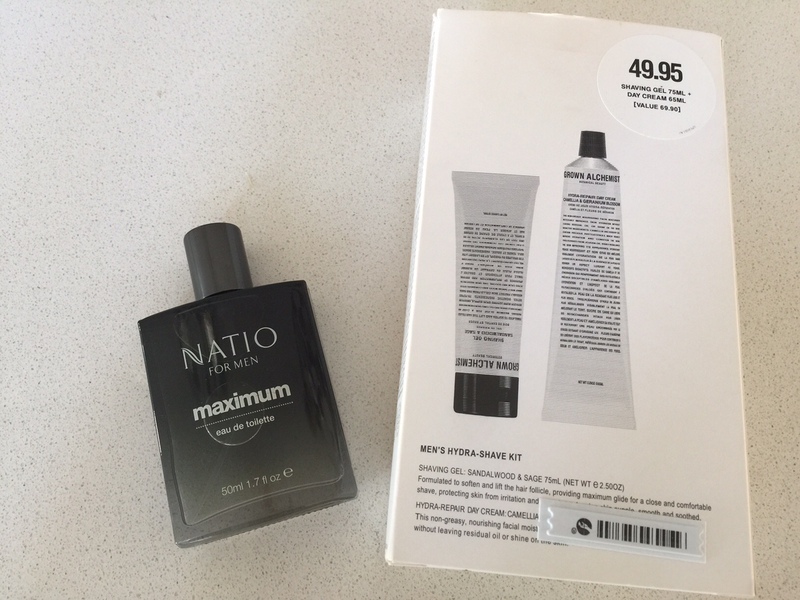 Natio for Men Maximum eau de toilette – $19.95 for 50ml. The team at Natio describe Maximum as a contemporary scent that “mixes a zing of Lemon and Bergamot with Olive Flower and earthy Guaiac Wood and Tonka Bean”. There was of course also the obligatory over-sized Toblerone. After all it wouldn’t be father’s day without it!